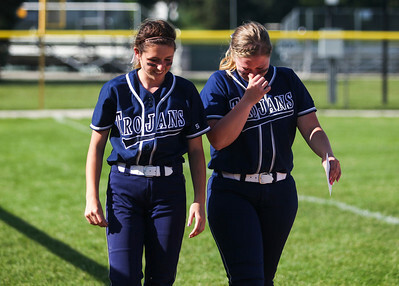 Sarah Nader- snader@shawmedia.com Cary-Grove's Colleen Kaveney (left) and Caroline Zasadil walk off the field after losing the Class 4A Cary-Grove Regional softball final against Barrington Friday, May 30, 2014. Barrington defeated Cary-Grove, 10-0. Sarah Nader- snader@shawmedia.com Cary-Grove's Jamie Deering talks with her team during the Class 4A Cary-Grove Regional softball final against Barrington Friday, May 30, 2014. Barrington defeated Cary-Grove, 10-0. 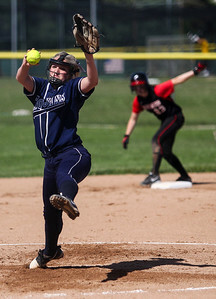 Sarah Nader- snader@shawmedia.com Cary-Grove' Caroline Zasadil pitches during the Class 4A Cary-Grove Regional softball final against Barrington Friday, May 30, 2014. 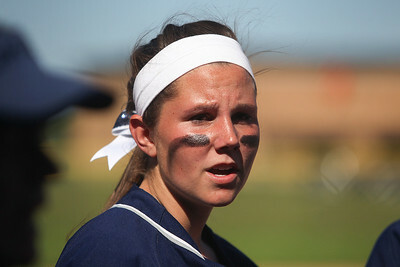 Barrington defeated Cary-Grove, 10-0. Sarah Nader- snader@shawmedia.com Cary-Grove's Jamie Deering (left) waits for the ball while Barringston's Jamie Brown safely slides into second during the fourth quarter of the Class 4A Cary-Grove Regional softball final Friday, May 30, 2014. Barrington defeated Cary-Grove, 10-0. 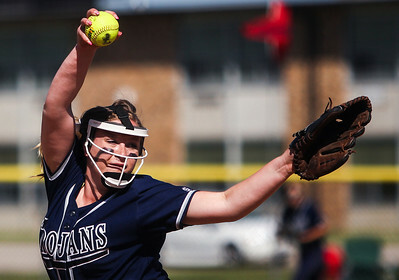 Sarah Nader- snader@shawmedia.com Cary-Grove's Lauren Stanley pitches during the Class 4A Cary-Grove Regional softball final against Barrington Friday, May 30, 2014. Barrington defeated Cary-Grove, 10-0. Sarah Nader- snader@shawmedia.com Barrington's Keenan Dolezal pitches during the Class 4A Cary-Grove Regional softball final against Cary-Grove Friday, May 30, 2014. Barrington defeated Cary-Grove, 10-0. Sarah Nader- snader@shawmedia.com Barrington's Kat Panos catches a fly ball during the third inning of Friday's Class 4A Cary-Grove Regional softball final against Cary-Grove Friday, May 30, 2014. Barrington defeated Cary-Grove, 10-0. Barrington's Kat Panos catches a fly ball during the third inning of Friday's Class 4A Cary-Grove Regional softball final against Cary-Grove Friday, May 30, 2014. 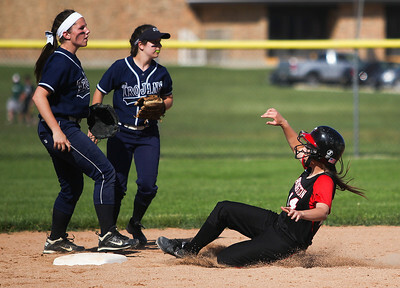 Barrington defeated Cary-Grove, 10-0.